We make it a little easier to feed our kids well. Ragu gives kids more than a full serving of veggies in every half cup of red sauce. And it's all natural, without any additives or preservatives. Since 1937, Ragu has brought smiles to kids' faces with our delicious, all nutural pasta sauce. Today, we're more committed than ever to providing busy moms and dads with more ways to make nutritious, easy to prepare meals that are just right for fueling growing appetites - and imaginations. 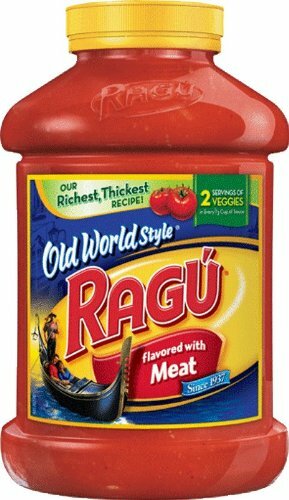 Ragu Old World Style pasta sauces meet FDA guidelines as "Healthy" because they are low in fat and saturated fat, contains limited amounts of cholesterol and sodium.